Giovanni Segantini (1858–99) was an Italian-born Swiss painter who created his work, primarily landscapes, largely in and around his home in the Swiss Alps. As an artist, Segantini is a difficult figure to place. While some of his works can be described as utilizing the pointillist or divisionist techniques made popular by Seurat and Van Gogh, Segantini’s style of painting shares a closer affinity with symbolism. Later in his career, he has also begun to be acknowledged as an early convert to European modernism, his work poised at the transition from nineteenth-century aesthetics to twentieth-century artistic experimentation. 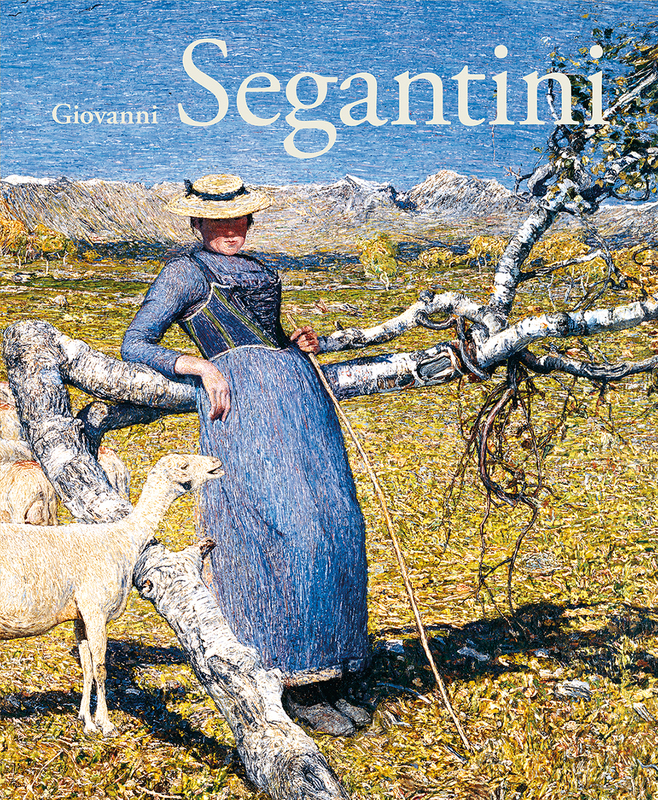 A long-awaited retrospective, Giovanni Segantini showcases sixty paintings selected from the artist’s prolific career. Among them are many truly beautiful images. Suffused with light and saturated with color, they feature villages, farmers and shepherds watching over wandering livestock, and idyllic pastoral scenes from the Swiss Alps. Each painting is described in detail, with information about the circumstances of its creation. The paintings are accompanied by an introductory essay that examines Segantini’s life and work, assessing the reception of his paintings over more than a century, including his influence on later artists and movements, such as Joseph Beuys and the futurists. Additional essays bring together the latest research on Segantini’s biography, his depictions of nature and the connections between nature and man, his masterful handling of shadow and light, and the divisionist combinations of iconography in Segantini’s later works. With Giovanni Segantini, Beat Stutzer has compiled a comprehensive overview of this inventive alpine artist, including some paintings that have not been accessible to the public in many years. It will be welcomed by art historians, collectors, curators, and all with an interest in this period in art.